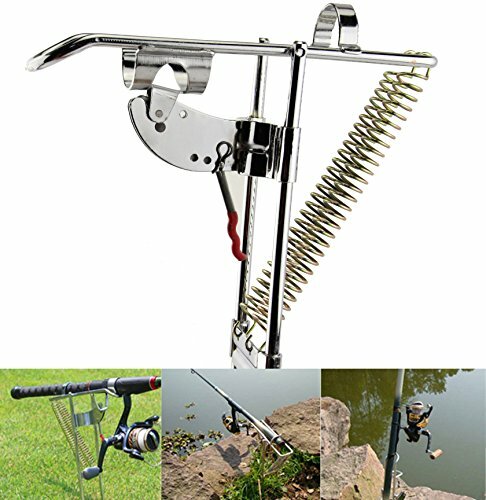 AUTOMATIC SETTING - Fishing rod holder with double spring loaded tip-up action sets your hook automatically. Line trigger activates tip-up only when fish hits the hook - no misfires. 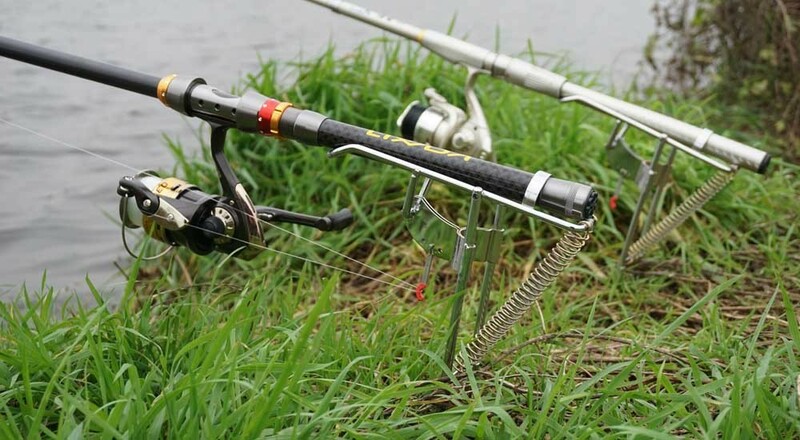 ADJUSTABLE SENSIBILITY - Adjustable to 3 levels of sensitivity for various water conditions and size of fish. From super sensitive for clear water to least sensitive for choppy water. HIGH IMPACT RESISTANT CONSTRUCTION - Be able to withstand maximum tension to 110 pounds.The prism construction is very easy to plug into the soil stable stably. 2 BUILT-IN GROUND STAKES -The new design circle plate for the fishing rack holder to easily plug into soil. 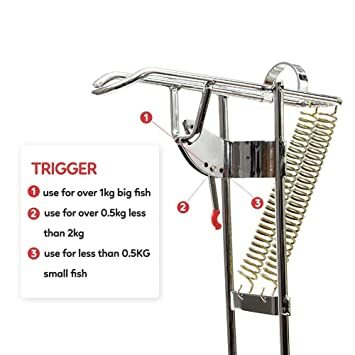 ANTI-RUST & CORROSION - High quality stainless steel fishing rod holder ensures no rust.